These screws will fit any size post 1/4" and larger, but they are designed to fit 3/16" and 1/4" aluminum screw posts. Please note that these are only the screws. 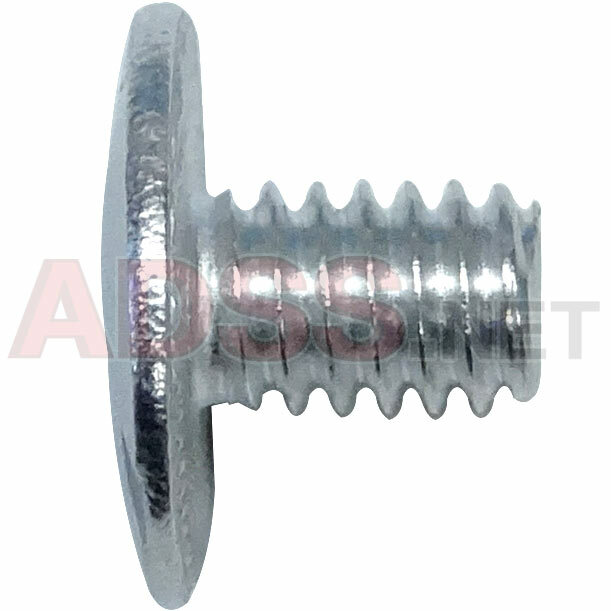 We sell 1/4" aluminum screw posts and screws if that is what you are looking for. We also carry 3/16" and 3/8" screws. The length of the screw thread is 1/4". Screw heads are 7/16" diameter and 1/16" thick. The screw thread is #8-32. Please sign in to use your shopping list(s).